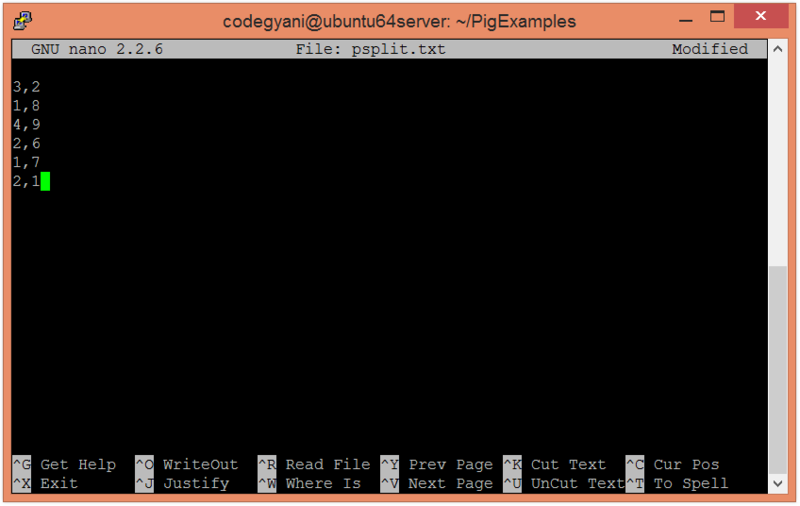 The Apache Pig SPLIT operator breaks the relation into two or more relations according to the provided expression. Here, a tuple may or may not be assigned to one or more than one relation. In this example, we split the provided relation into two relations. Let's provide the expression to split the relation. 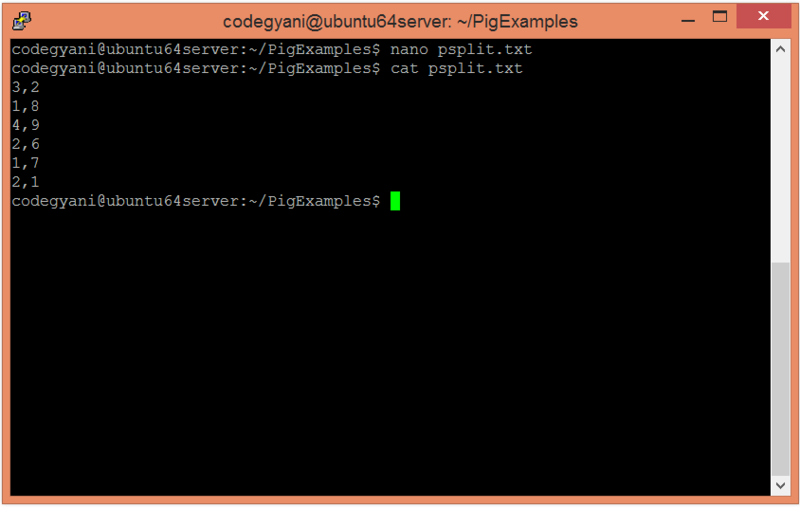 Now, execute and verify the data of the first relation. Now, execute and verify the data of the second relation.